A new and short update on the Fairy Tail: Hero's Journey Facebook page has revealed that this upcoming official anime MMORPG is going to include a Battle Royal system. Details are slight but you can always head over to the aforementioned page and vote on your preferred element. 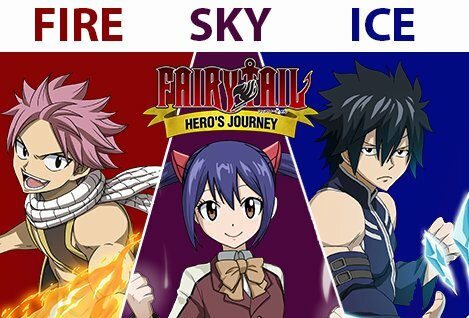 The Fairy Tail: Hero's Journey Battle Royal system is bound to feature 3-way fights between Fire, Sky, and Ice, and you'll have to pick a team. Fairy Tail: Hero's Journey is still planned for a summer closed beta, sometime in July or August 2017.